BoxId: 582042 – Will mobile break the bank? Will mobile break the bank? What innovations will the age of mobile shopping and mobile payment bring to retail and to financial services? Will they be a menace or a benefit for banks and shop-operators. It-werke's CEO Ulrich M. Kipper explores in brief how mobile devices are influencing retail, customer behavior and financial services industry and how they will ultimately lead to new formats for commerce. Today, about 50% of the world's economically relevant population has a smart device, providing them permanent access to information and services. Given that we are a lazy, convenience driven species going for gadgets boosting our neighbor's envy, is pretty easy to predict: the other half of the crowd will take half of the time to join up and also have such a vademecum. The new mantra is "I want to pay with my phone, purchase from a poster with my phone, settle my restaurant bill with my phone, donate with my phone and preferably open my home with my phone". Multipurpose solutions like GO4Q - mobile shopping responding to this request are already out there. And they will lead to new formats, new ways to approach customers, to new urban commerce. Mobile shopping will lead to less importance of physical store size and opening hours. In turn windows and screens will become part of the vending surface and every catalog becomes an open warehouse. In a not too far away future, outlets will be screen only and products will be offered via their commercials and not via images. The customer merely scans the referencing QR code and products will automatically be forwarded to the checkout were the customer commits his purchase or goods will be conveniently send to his home. T Mobile shopping will benefit those retailers who understand these opportunities first. The change will be rapid as the dramatic extension of reach requires only little investment and entails no significant risk. Customers bring and pay for technology and QR codes do the rest. 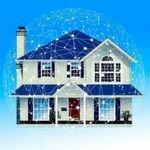 Is there an impact on the payment side? Yes! Mobile commerce implies: no cash! Therefor the good news is: mobile will lead to replacing cash by electronic transactions. And there is a quite significant potential, e.g Germany where cash is still paying for about 60% of all retail transactions. More electronic transactions means more fees, thus mobile will not break the bank, but bring additional benefits. Some say mobile is Google and Paypal and it is therefore banks against them. However that is not true. Payment is credit- and debit cards, payment is direct debit. All handled by banks. Google and others just built overlays - when they started. They are however not idling. Today Google and Paypal have their own banking licence and are attracting customers. It is still early but why should I have my bank account and regularly settle my paypal bill instead of having my paycheck send directly to my paypal account. It is not Google vs. banks, it is smart movers against the others. Some banks are simply about to worry themselves out of business. Others are desperately promoting "new" payment products, such as NFC or other contactless and prepaid solutions. Unfortunately these efforts are driven by "excel" business cases and not by the ambition to respond to the needs of the real world. Offering the 5th, 6th or 7th way of card payment does not suffice to impress my friends and the retail sector is, conscious- or unconciously, aware of it. Consequently retail investment into these "innovations" remained poor and adoption rates on consumer side make think that NFC is short for "Not For Commerce". For banks, the way out is easily found as consumers will happily adopt new procedures, if there is an added value. Going back to the characteristics of our species and the new mantra will lead the way: If I can pay conveniently with my mobile at the checkout via a payment code, I will definitely do so. Being protected against fraud, as sensitive data remain in the back-end, is a nice add-on, if it comes with the same technology. The perspective to have something I discovered in a window or in a catalog by merely scanning a code makes my consumer heart happy. See-Scan-Smile, what else would I want. It is rare that new technologies are easy and help everybody - QR codes and smartphones do. Based on QR Codes, mobile shopping and other options are just a download away. Retailers will gladly jump in, put QR Codes and take advantage of happy consumers. Anything else, including card based business models, remains in place. Hence mobile will not break the banks but benefit those making a bold decision and go for QR-codes. Ulrich M. Kipper is a renown expert in the field of combining technology and ideas to innovative payment solutions. 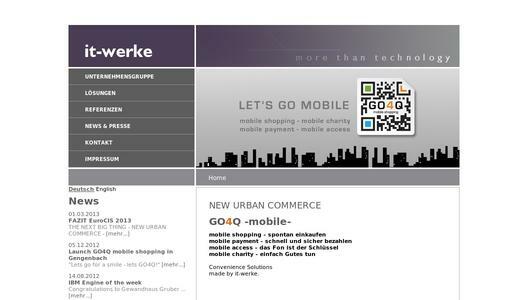 His company, it-werke developed already in the year 2000 the concept of retail biometrics. Today it-werke is successfully operating several hundred biometric payment systems for retail, catering and restaurants. Kipper received various distinctions for the concept and successful implementation of virtual loyalty cards on consumer's fingertip. Kipper was among the first to anticipate that mobile will bring new formats and "New Urban Commerce". Smartphone technology in combination with QR codes offers a host of new possibilities benefitting customers and retailers. 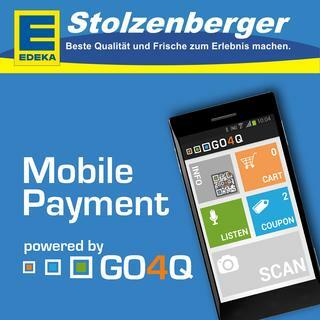 To provide them access to this potential, it-werke developed GO4Q - the multi-purpose solution for mobile shopping, mobile payment, mobile charity and mobile access. GO4Q comes with all interfaces to work with leading checkout software. It includes a mobile payment terminal allowing also small retailers and e.g. the Pizza arround the corner, to accept mobile payment without modification of their infrastructure. 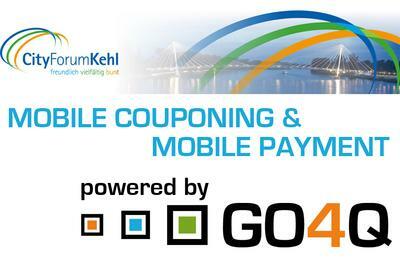 The portal www.go4q.mobi enables retailers to create their GO4Q Order codes independently and free of charge. 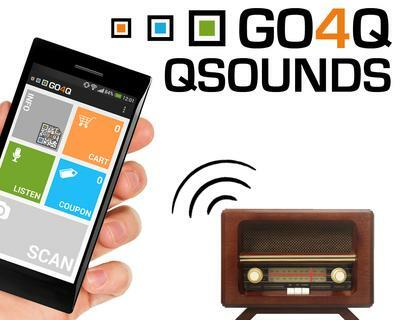 The GO4Q - mobile shopping app is available for IOS and Android.